I didn’t manage to get a photo right from the very top of the garden because I almost impaled myself on a very sharp stick (I’m okay, just a big bruise on my thigh). But I did clear it right to the end of the fence that you can just make out here. 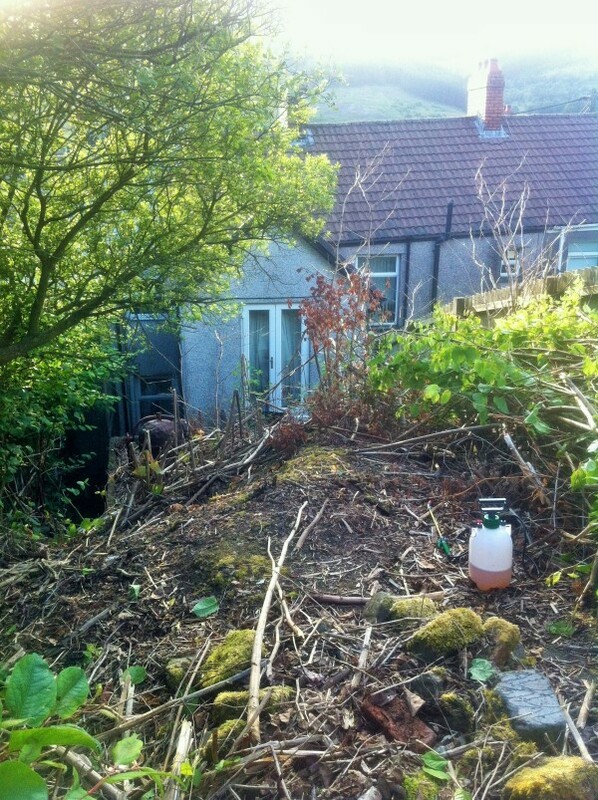 So once all the Japanese knotweed has died, with the help of some super strong weedkiller, our next step is burning it and then pulling up and spraying any new shoots. 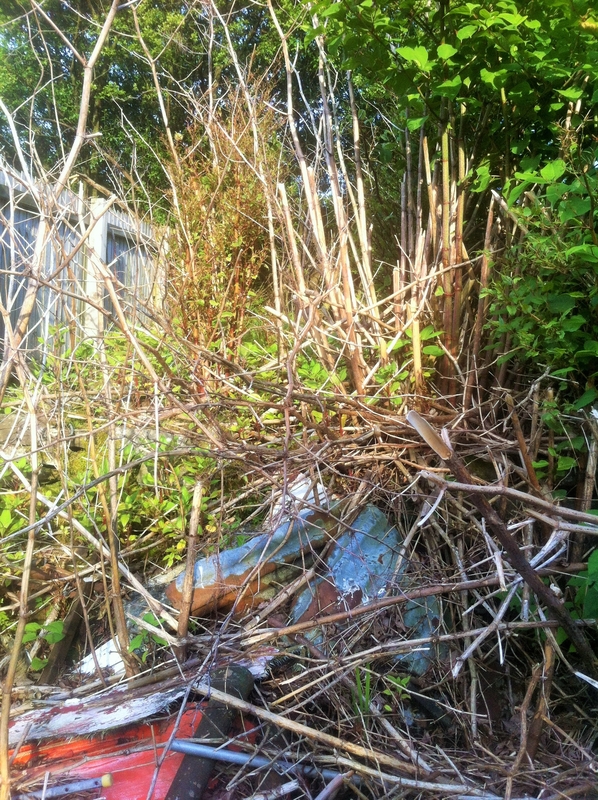 Once it’s all burnt I might actually be able to start clearing out all the junk, including the remains of an 18 foot boat that once resided at the top of our garden and was kindly burnt by some bored teens about 13 years ago! Silly Mummy recently posted…Give The Baby Back Her Pigas! Oh gosh! I’ve heard awful things about Japanese knot weed, thank goodness you have managed to get it under control. Gosh it look like a lot of work! But anything worth doing always starts off as hard work and slowly turns in to a really enjoyable pastime. It will be fantastic once it’s all sorted. I’m pleased to read about the summer link up too. Can I join even though I always live in the sunshine?! Haha a project is certainly the right word! Lucy at occupation:(m)other recently posted…Hello inner crafty Mum…is that you?